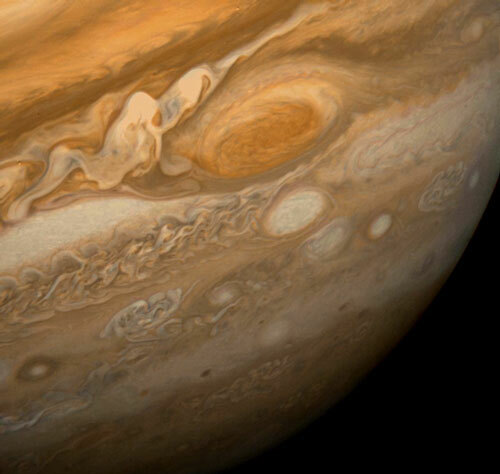 Explanation: This picture of the planet Jupiter was taken by the Voyager 1 spacecraft as it passed the planet in 1979. Jupiter, a gas giant planet with no solid surface, is the largest planet in the Solar System and is made mostly of the hydrogen and helium. Clearly visible in the above photo is the Great Red Spot, a giant, hurricane-like storm system that rotates with the clouds of Jupiter. It is so large three complete Earths could fit inside it. 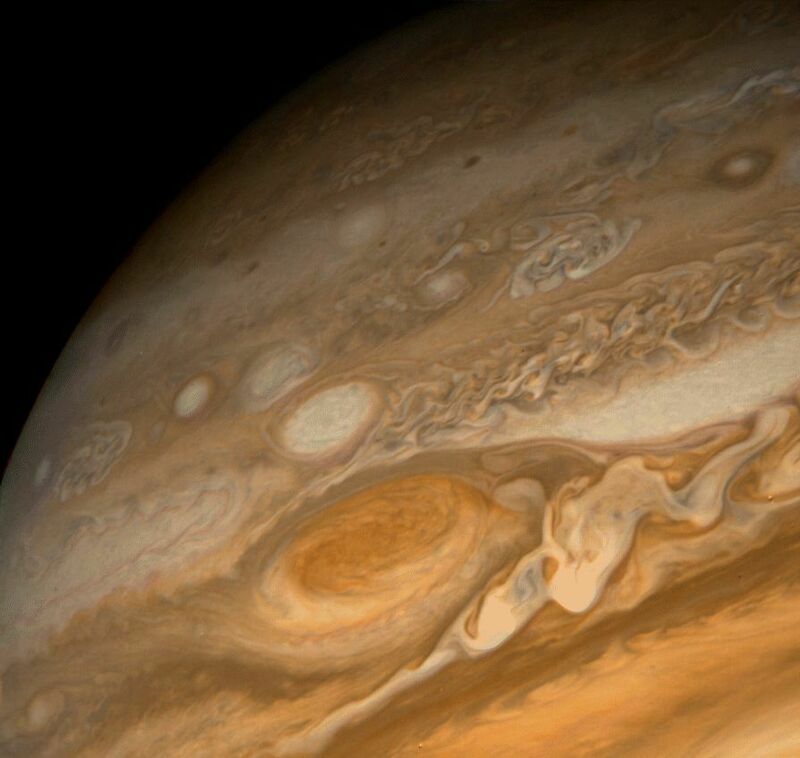 Astronomers have recorded this giant storm on Jupiter for over 300 years.